Cho Yeon-woo is an actor in South Korea’s showbiz industry and has been active since 2003. He started from a mere guest role as a part of a yakuza (organized crime syndicates, originated in Japan). 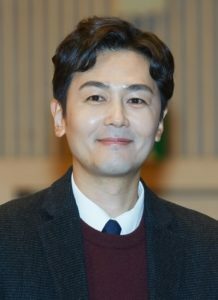 Despite only being nominated twice at award events, Cho Yeon-woo has won an award as New Star Award on SBS Drama Awards in 2005 for his works Dear Heaven and Bad Housewife. In this article, Channel-Korea will explain all about Cho Yeon-woo, including his full profile and the list of his television series, films, and television shows. So, stay tuned! Cho Yeon-woo’s most famous works include a few dramas, such as Dear Heaven, The Invisible Man, What’s Up Fox, Moon Hee, The Scarlet Letter, and Can Love Become Money? in which most of his roles are the leading ones. 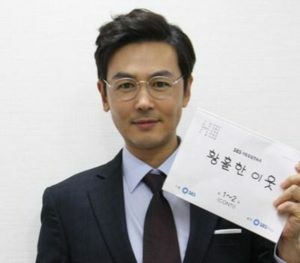 In addition to dramas, Cho Yeon-woo often participates on variety shows, be it as the host or guest star. In this section, Channel-Korea has compiled a list of television series, films, and TV shows that Cho Yeon-woo has starred and appeared in. Get Inspired By Gong Yoo’s Hairstyle! Let’s See SHINee’s Hilarious Moments on ‘Knowing Brother’ Here!